A tickler file system is an old but innovative way to schedule a physical reminder on a specific date. However, checking it everyday, ensuring it’s up-to-date, and rotating the reminders to each new month seems like an added hassle (especially if most of your 43 folders are empty!). If you’re already familiar with tickler file systems, skip the walk-through and read about the alternative. Start with the day folders from 1 to 31. Place the month folders in month order behind the day folders. Let’s say today is January 1st. You wake up with a slight New Year’s hangover and glance over at your tickler file system. You notice the day 1 folder is empty, so there’s no reminders for January 1st. Refile this folder behind the February folder. The day 1 folder is now used to hold reminders for February 1st. You just remember that you have a meeting tomorrow (January 2nd). To remind yourself of the meeting, you put the agenda for the meeting in day folder 2. The thinking is that when you look at day folder 2 tomorrow, you’ll be instantly “tickled” by the meeting occurring right after New Year’s. After looking at your email, you notice the meeting is rescheduled for February 14th. Day folder 14 is currently holding reminders for January 14th, so you place the meeting agenda in the February folder. When February rolls around, you’ll need to go through all the items in the February folder and redistribute them among the day folders. In a recent post at GTD Times, a GTDer asked about a “tickler lite” system to address their 43 folders (12 month folders + 31 day folders) frequently being empty. Unless you have lots of reminders to tickle yourself about, this is one of the weaknesses of the tickler file system — multiple folders can go unused. Making sure to check it everyday could also be considered a weakness initially until it becomes a daily habit. However, I find that checking a system that is empty more often than not can easily lead to neglecting it. For example, if you get email everyday, you’re more likely to check for new messages than if you get messages every few days. One more weakness is the need to re-sort reminders stored in the month folders. The necessity to re-sort reminders indicates that the reminder must keep track of its due date. If we go back to our previous example regarding the meeting agenda on February 14th, the date for the agenda must be somewhere on the agenda. It might already be mentioned in the agenda or it could be a post-it placed on the agenda. Because you’re putting off re-sorting the month day folder, you must remind yourself what date the reminder should be sorted into. Additionally, you must remind yourself to do this re-sorting every month. Doing it daily is another option. However, you’ll be sorting and re-sorting other reminders in the month folder that are not quite ready to be sorted into their corresponding day folders. After filing an item into the desired day or month folder, you’ll potentially search through 43 folders if you need to find the item before its “tickle” date. An alternative is it to leverage other parts of GTD to serve a similar function. The tickler file is basically a date-based reminder that allows you to store a physical item. Instead of a tickler file, you could record a reminder in your calendar and then file away the item in your reference folders. The reminder could even tell you what folder to look in. In this way, you could leverage your existing calendar and filing system and not have to maintain a tickler system that you rarely use. No daily habit of checking your tickler file system, because your calendar is already something that you check everyday. No re-sorting tickler reminders for the next month, because your calendar has entries for the whole year. Just enter the reminder into its corresponding date in your calendar. Only limited by your filing system rather than your tickler filing system. 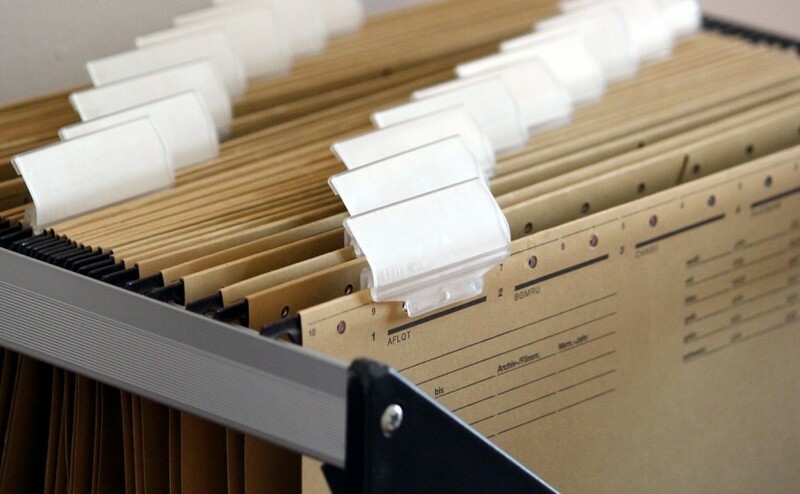 Your filing system implementation is probably more robust than most tickler filing system implementations (large filing cabinet vs. expanding accordion files). Depending on your filing system, items are categorized by topic or project rather than by date (as in the tickler file system). Finding the item before its tickle date involves leveraging your filing system rather than possibly searching through all 43 folders. No extra system to maintain and take up psychic RAM. In a nutshell, the tickler filing system can be essentially re-defined as a reminder on your calendar that specifically references an item in your filing system. UPDATE: A comment from Christoph Dollis points out the system is not limited to an item in a physical file system. An item in your digital filing system could be just as effectively referenced from your calendar. Excellent idea, Mr. Li! I shall try it. Have tried it and I like it. I had so few papers in my Tickler file, this is much less cumbersome. One thing I’ll add is that scanned pages in Evernote can be part of this system quite easily. @Christoph: Thanks for the update! Happy to hear it worked for you. Your idea about extending it to Evernote data is interesting, because you can be “tickled” by digital data rather than just physical items that fit into a traditional tickler file system. Christoph – I would like to implement this alternative. I do scan papers to Evernote- can you explain your Evernote process? Do you just put a reminder in the cal to check Evernote? And then you go to Evernote and do a search for the item? Or do you have a specific notebook to search? @Christine: Although I can’t speak for Christoph, I’m a heavy user of Evernote. My sense is searching through all items (especially if you have a lot of items) could be frustrating. Referencing the notebook name in your calendar would definitely narrow down your search. If you couple this with tagging the item and referencing that from your calendar, you’ll likely find your item in no time.